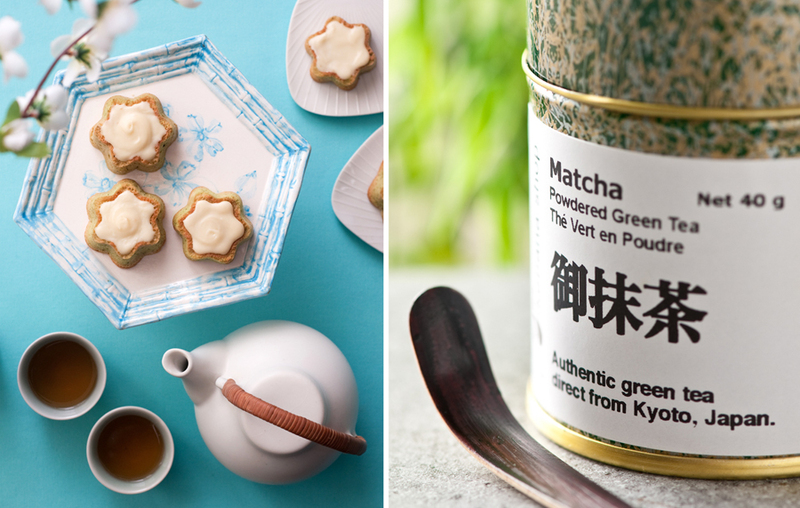 Along with all of the health benefits of green tea, Matcha adds a bright green colour and a delicate floral flavour to baked goods. Topped with a simple white chocolate ganache to compliment to the Matcha's subtle flavour, these teacakes make the perfect afternoon snack. This recipe is an easy, one bowl affair. It can be prepared using either a stand mixer or a handheld mixer and mixing bowl. It will yield one dozen cupcakes or small teacakes. 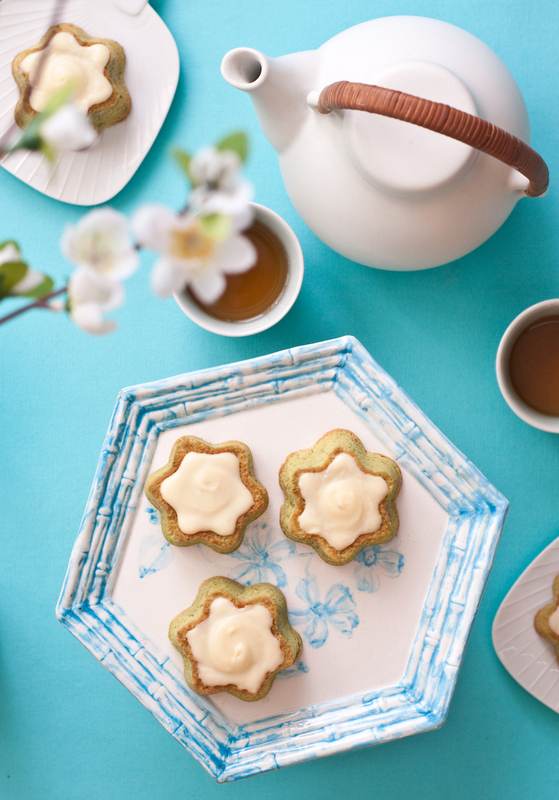 I recently received a collection of small flower shaped silicone cake pans that I used to bake these. What can I say? Spring can't come soon enough for me. Preheat oven to 375F. In the bowl of your stand mixer, whisk together the dry ingredients by hand. Fit the mixer with the paddle attachment, and on low speed, add the remaining ingredients (butter, milk, eggs, and vanilla). Once the wet ingredients have been incorporated into the dry, turn the speed up up to medium/high and beat until smooth. It will only take 2-3 minutes. To make cupcakes, line 12 muffin cups with paper liners. In order to make 12 little three bite teacakes, I used small greased silicone cake pans similar in size to the average muffin tin. Fill each cupcake liner or cake pan about 2/3 full. Bake in centre of the oven for about 15-18 minutes. A toothpick inserted into the center of the cake should come out clean when they are done. Remove from the oven and transfer to rack to let cool. Finely chop the chocolate into small pieces and gather into a small bowl. Heat the cream until just simmering, either in a small saucepan or the microwave. Pour hot cream over the chocolate morsels and stir to melt the chocolate. At first it will be quite thin, but it will thicken as it cools. Once it comes to room temperature, it will thicken up to a spreadable consistency. 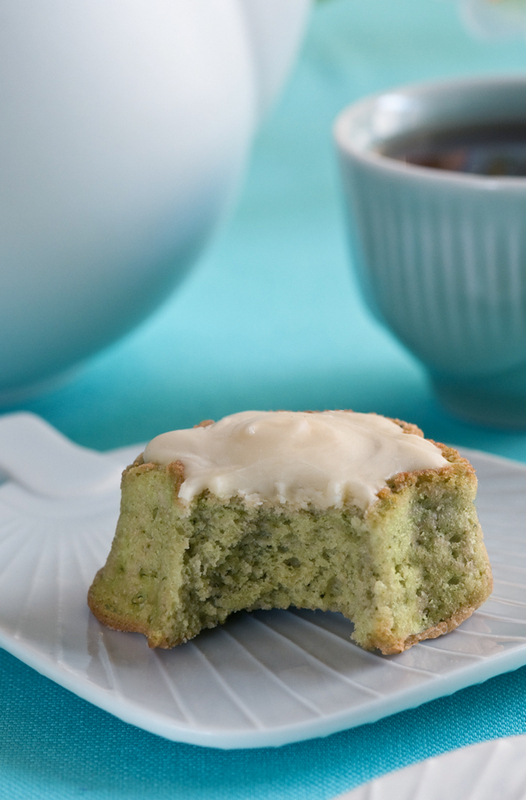 Top each teacake with a swirl of white chocolate ganache and serve with a cup of your favorite tea.